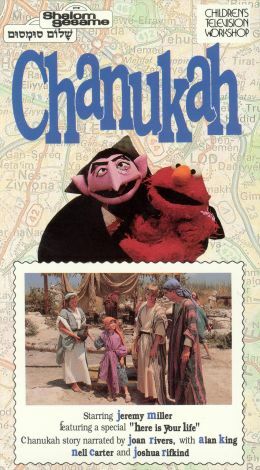 Shalom Sesame: Chanukah is the sixth episode in the Muppets special edition series Shalom Sesame, an educational journey through ancient and modern Israel. Kids meet old and new Muppet friends on "Rechov Sumsum," the Israeli version of Sesame Street, including Grover, Cookie Monster, Moishe Oofnick the grouch, and Kippy ben Kipod, a large porcupine. In Shalom Sesame 6: Chanukah, the Muppets and Jeremy Miller celebrate the Festival of Lights and travel to ancient Modin, the land of the Maccabees. Alan King, Nell Carter, Joan Rivers, and Joshua Rifkind guest star.